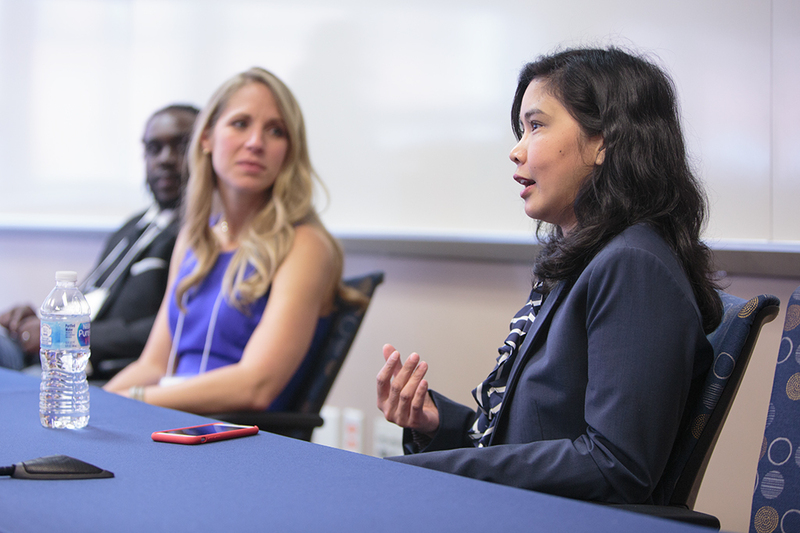 Irawati Kartini Kandela (PhD '06) is one of nine Pharmaceutical Sciences alumni who returned to speak with current graduate students about the varied career options. Director of strategic competitive intelligence, senior marketing manager, department head for education and training in the U.S. Navy Environmental Preventative Medical Unit, licensing operations manager—what do these diverse jobs all have in common? 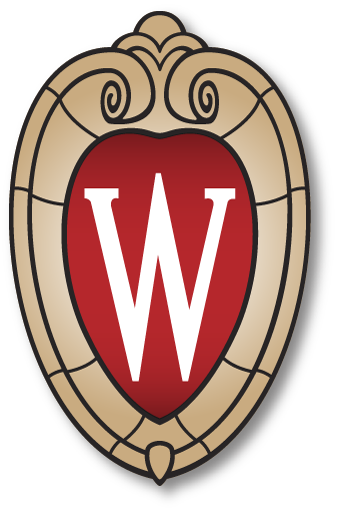 The individuals holding them have a graduate degree from the University of Wisconsin–Madison School of Pharmacy’s Pharmaceutical Sciences program. 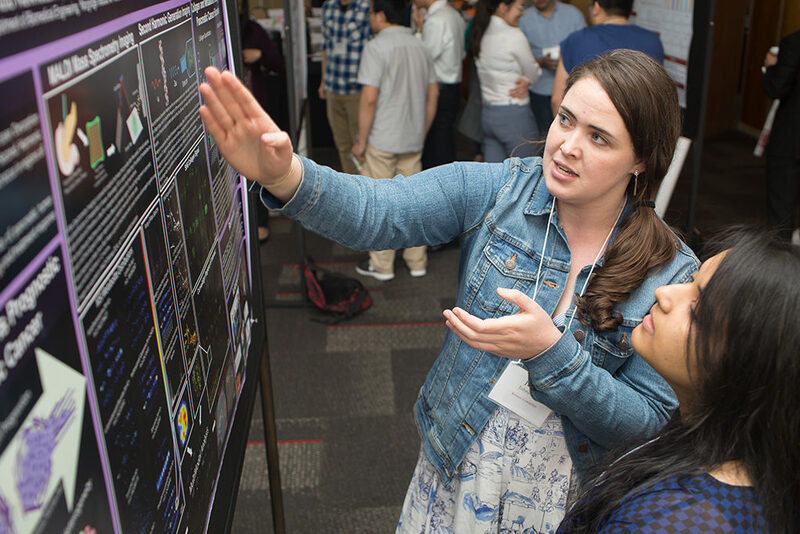 The rigorous, highly interdisciplinary Pharmaceutical Sciences PhD program is broken into three core areas of study—Drug Discovery, Drug Action, and Drug Delivery—that each provide a solid background in pharmaceutically relevant components of biology, chemistry, and engineering that serves as a launch pad to an array of careers. 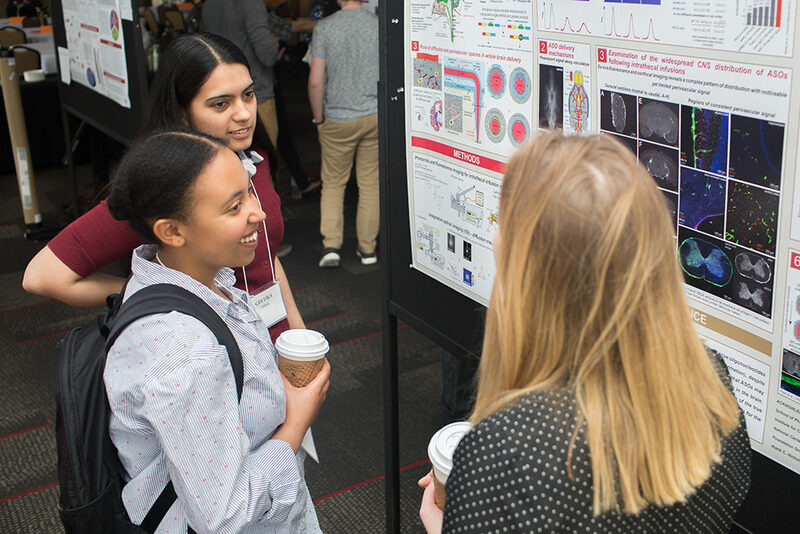 In Drug Discovery, student researchers isolate and characterize natural projects, develop small molecules, and other activities that support rational drug design and medicinal chemistry. Drug Action focuses on how drugs impact biological systems and the mechanisms of disease at the cellular, genetic, molecular, and biochemical levels. Drug Delivery explores how to get drugs where they need to be in the body, using physical chemistry and drug transport principles to innovate in formulation, drug targeting, and multi-modal therapy. 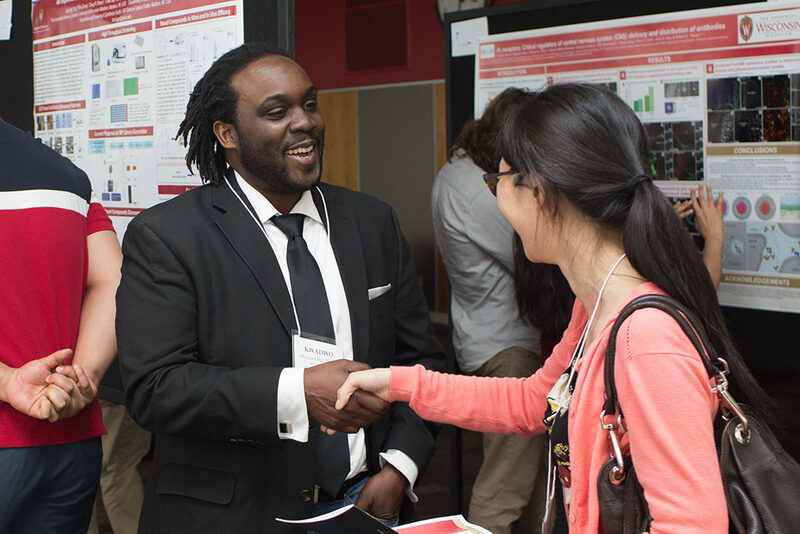 Owusu-Ofori was one of nine of the School’s PharmSci alumni who recently returned to the UW–Madison campus for a career exploration event to give students insights on various career fields. 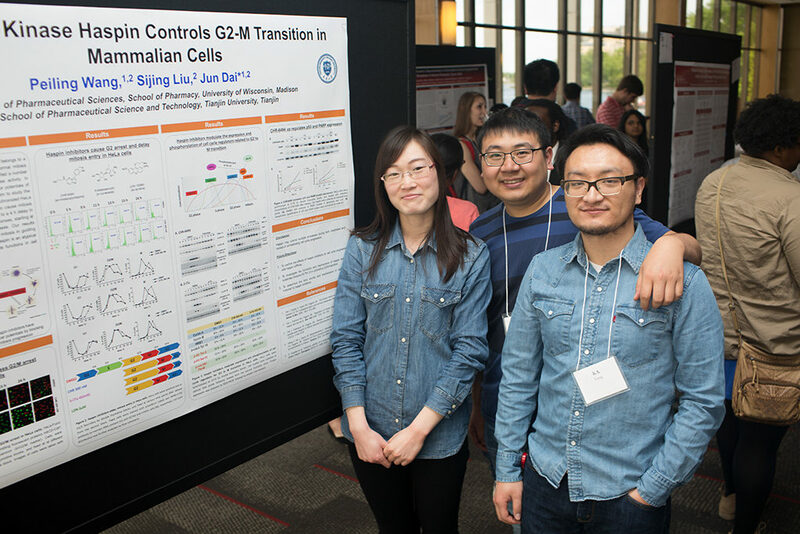 The 2018 Pharmaceutical Sciences Graduate Student Retreat invited local alumni to share their professional experiences with the School’s nearly 60 current Pharmaceutical Sciences graduate students. 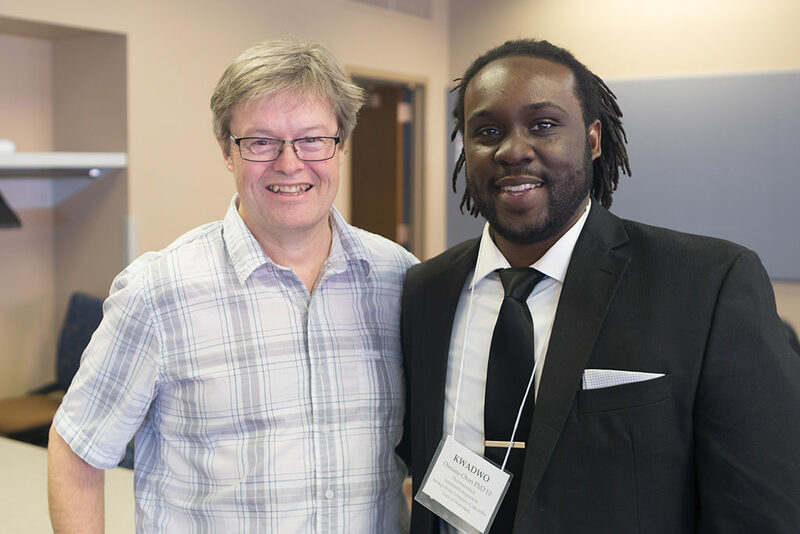 “There’s a real hunger for students to connect with people who have recently walked through what they’re experiencing now, so we’re very appreciative of the alumni who are able to come back and share their wisdom with our graduate students,” says Ken Niemeyer, graduate programs coordinator. 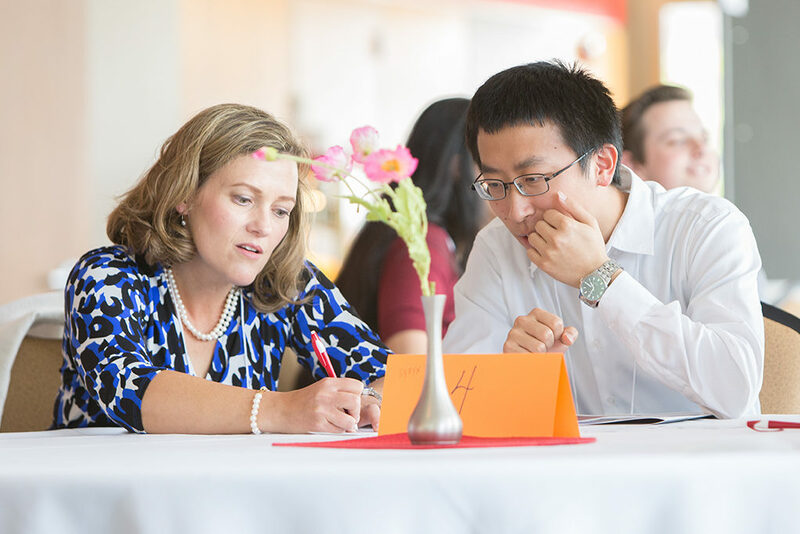 To help students see what’s possible, Niemeyer tries to coordinate a presentation or roundtable whenever alumni visit the School, and he’s compiled a list of the job titles held by those who have graduated from the Pharmaceutical Sciences PhD program since 2000. 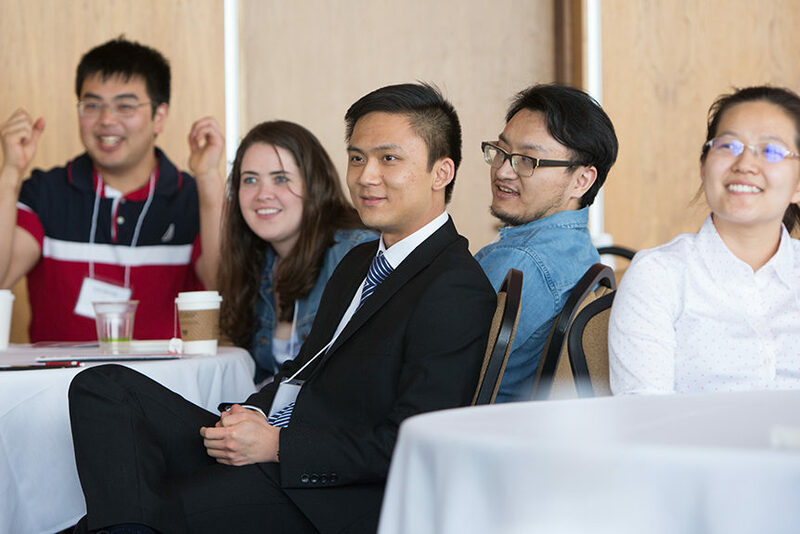 The retreat, which Niemeyer hopes will be a biannual feature of the program, is intended to give doctoral students even more exposure to alumni and the career paths they’ve blazed for themselves. 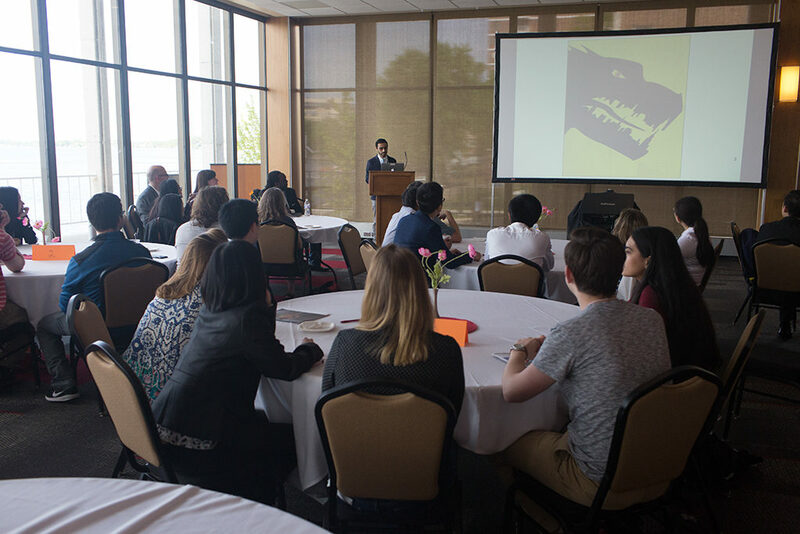 As the event was geared toward helping students learn about their career options, a group of the graduate students planned the event, with support from Niemeyer and Chuck Lauhon, assistant dean for graduate studies and vice chair of the Pharmaceutical Sciences Division. 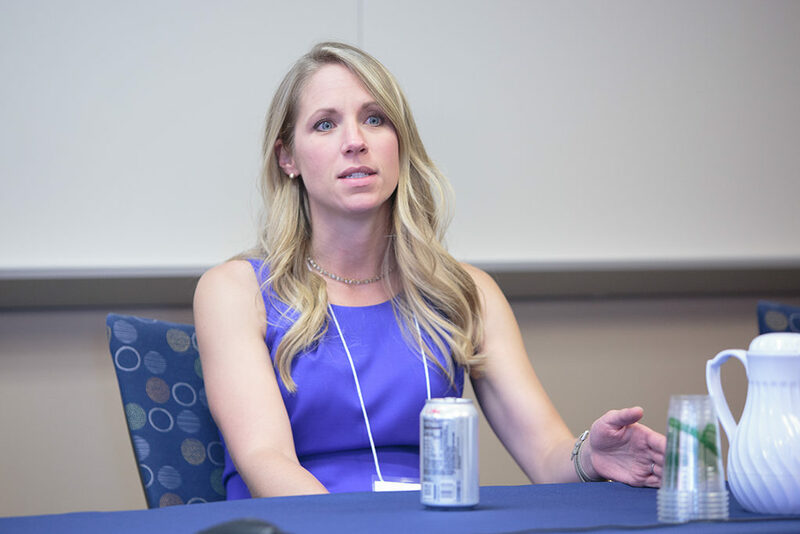 PhD candidate Jill Johnson, moderating the non-traditional careers panel discussion at the 2018 Pharmaceutical Sciences Graduate Student Retreat. PhD students Shaurya Chanana, Jhewhelle Fitz-Henley, Jill Johnson, Fengfei Ma, Tony Tam, Brynna Wilken-Resman, and Pawel Zbyszynski and came together to design an event that they thought would be the most beneficial to their peers, which resulted in student-moderated panel discussions with alumni in academic, industry, and nontraditional careers; a poster session for students to share their research with each other and alumni; and some social time for mingling and networking. So what does a director of strategic competitive intelligence do? It doesn’t entail black suits, sunglasses, or wristwatches that double as walkie-talkies. For example, if a competitor’s pipeline includes a Phase 1 oncology drug, Keding’s team can look at ClinicalTrials.gov to learn more about trials that occurred around the time the company updated its pipeline with the new drug. By studying the clinical trial information, investigators can glean clues to the basis of the drug, such as inclusion or exclusion criteria for patients participating in the trial. If patients cannot have CD20 antibodies, for example, that’s a big clue that the drug is likely a CD20 monoclonal antibody. 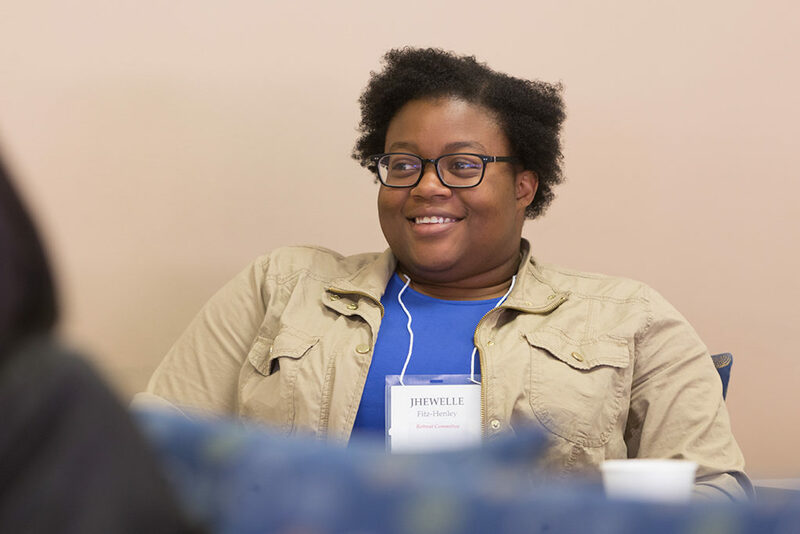 In addition to shedding light on the job behind her intriguing title, Keding also wanted to attend the retreat to give student another lens for viewing their careers. 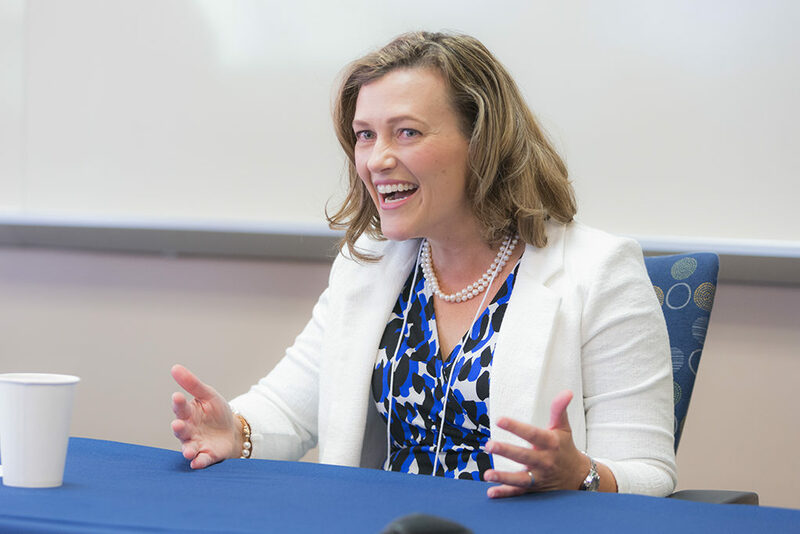 “You reach a point in your career when you start to think about giving back and, as a woman in a field that’s mostly dominated by men, it’s important to be represented at events like this and show students that women can be successful in the pharmaceutical industry as well,” says Keding. 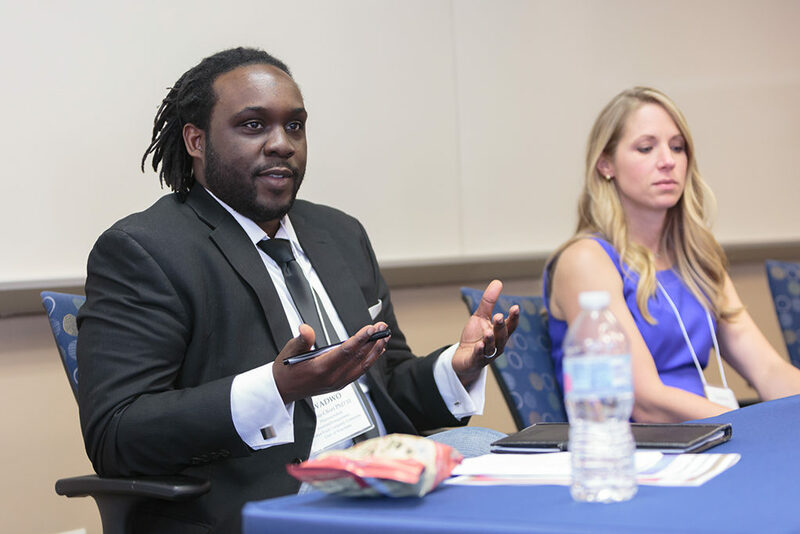 Owusu-Ofori, who founded a pharmaceutical foods company that creates products like an anti-anxiety coffee creamer, is one of the alumni who falls firmly into the “nontraditional” category. 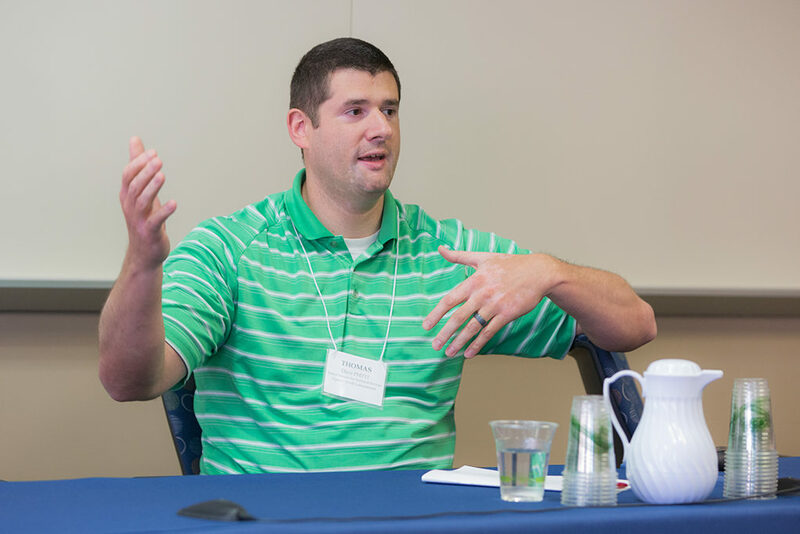 After earning his PhD, he went on to become a Kauffman Global Scholar—the only PharmSci PhD Niemeyer has seen in 20-plus years to pursue the one-year leadership program for entrepreneurs. 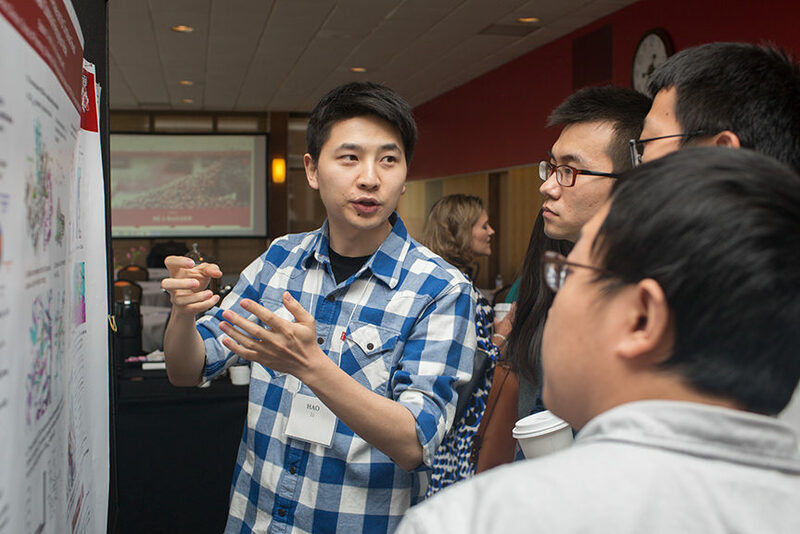 Many of the graduate students commented that they were grateful for the opportunity to connect with alumni of the School. 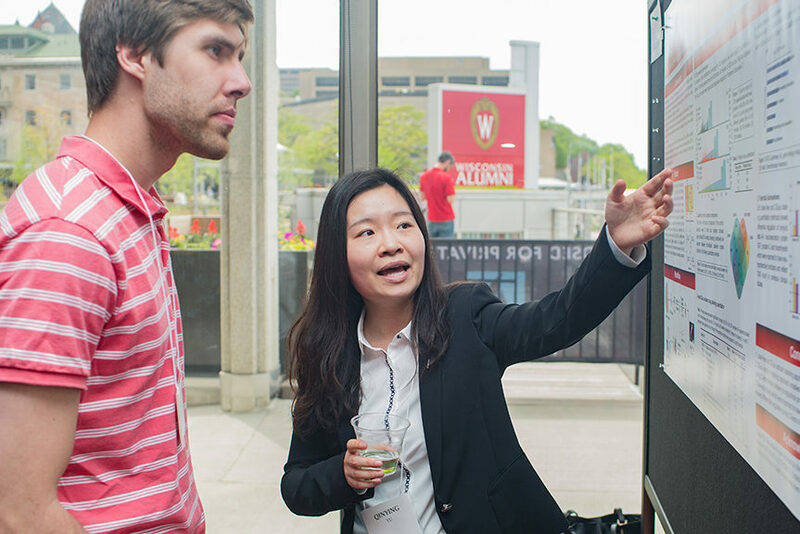 Jeanine Burmania (MS ’02), senior licensing manager/licensing operations manager with the Wisconsin Alumni Research Foundation, encourages students to use those UW–Madison connections—even the ones they haven’t made yet. 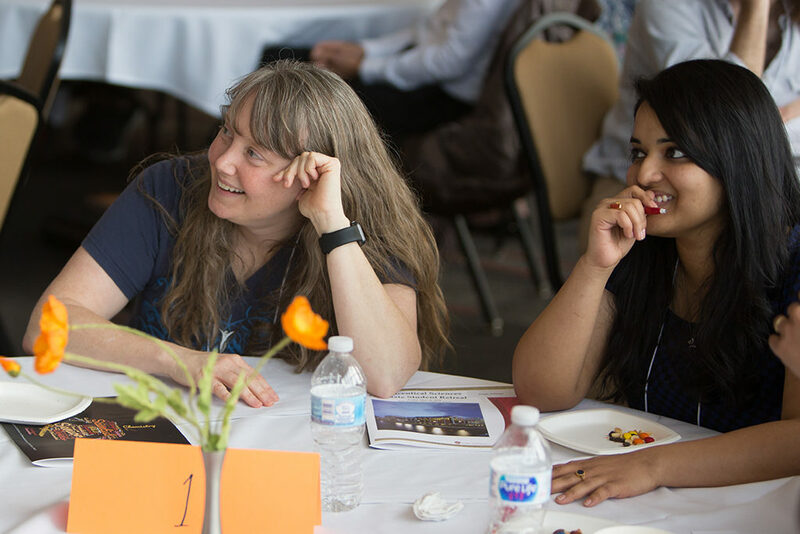 Those conversations can turn into mentorship, which is linked to increased career satisfaction and productivity in research careers. 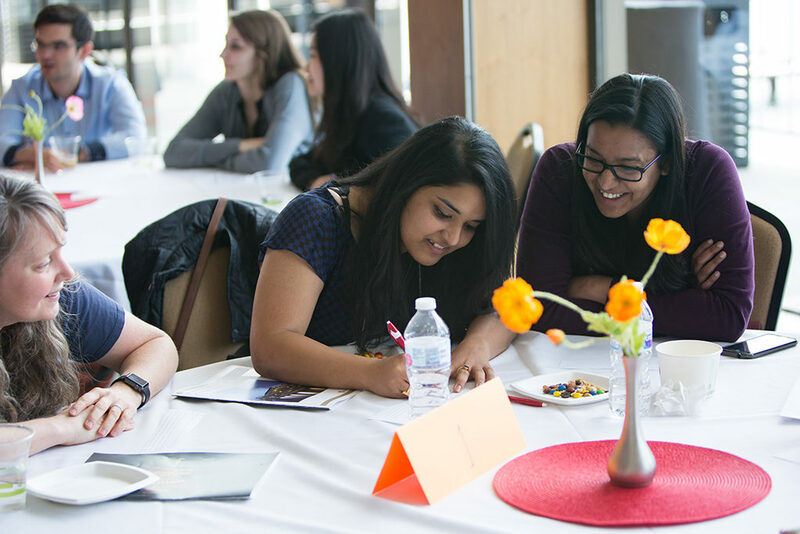 In many ways, pursuing a career in pharmaceutical sciences mirrors the science itself—driven by curiosity and passion into unknown or unfamiliar territory. Read about another successful Pharmaceutical Sciences PhD alum, Azita Saleki-Gerhardt, and her career path in the pharmaceutical industry. Learn more about the School’s Pharmaceutical Sciences PhD program, or download a brochure.